This activity is also a great “filler” for those days when you have an extra 5 minutes of class time before the bell rings for dismissal. 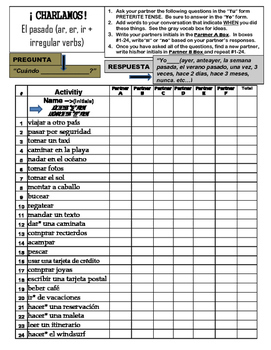 You can ask your students to find a new partner and continue with the survey by filling in the next column. 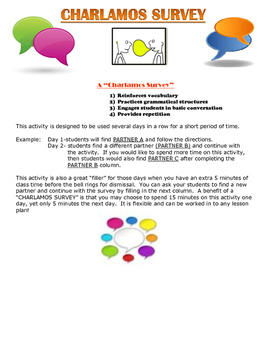 A benefit of a “CHARLAMOS SURVEY” is that you may choose to spend 15 minutes on this activity one day, yet only 5 minutes the next day. It is flexible and can be worked in to any lesson plan!